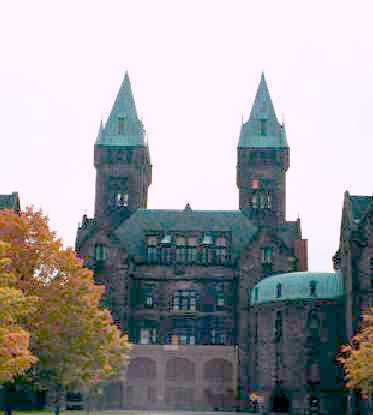 Architect: H.H.Richardson. 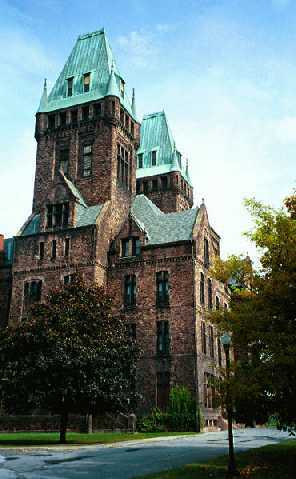 In terms of the stature of the architect who designed it, this is the most important historic state hospital building. 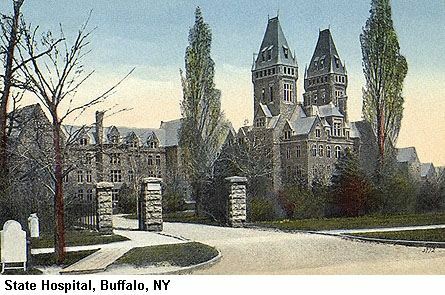 "Frederick Law Olmsted was responsible for the landscaping of the New York State Asylum for the Insane (now the Buffalo Psychiatric Center) at 400 Forest Avenue, Buffalo. 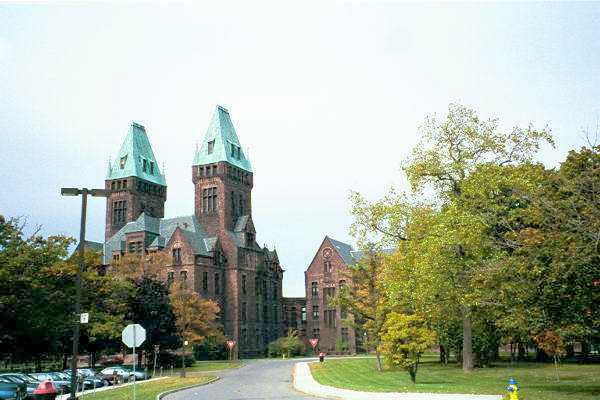 The imposing facility was designed by Henry H. Richardson and constructed between 1871 and 1895. 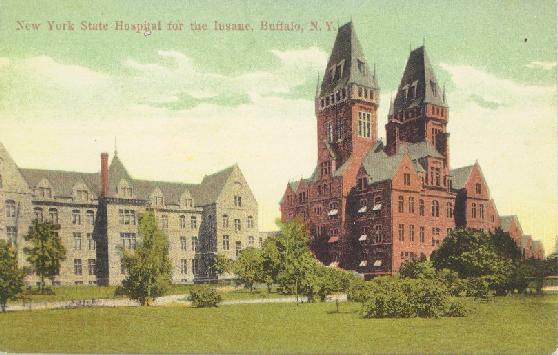 It occupied all the land between Elmwood Avenue and Grant Street from Forest Avenue to the Scajaquada Creek, and included a working farm which provided both employment and sustenance to the patients. 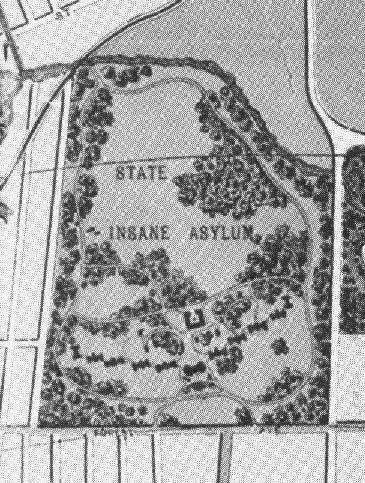 The asylum grounds, along with Forest Lawn cemetery to the East, considerably extended the green space of The Park (now Delaware Park). The plantations of the main buildings provided them with a quiet setting and buffered them from the bustle of the city. The northern (farm) portion of the site has become the grounds of the campus of Buffalo State College. 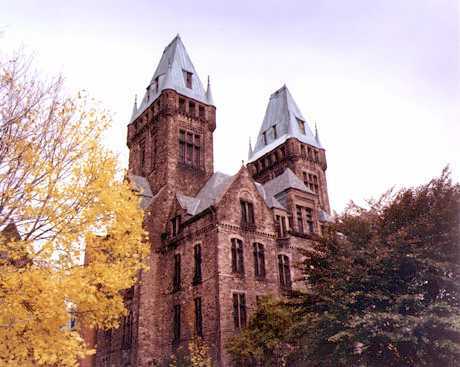 Other significant portions of Olmsted's plan for the site, as well as some significant sections of Richardson's buildings, have been destroyed by parking lots and modern construction." 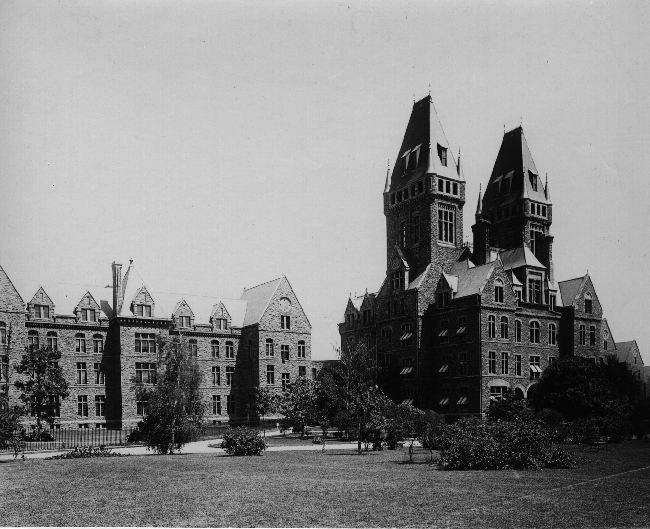 The New York State Asylum for the Insane, circa 1906. The photos by John Leising are used by permission, from "Keep the Zoo". Thanks also to Bob Shear for improving the display quality of some of the photographs.